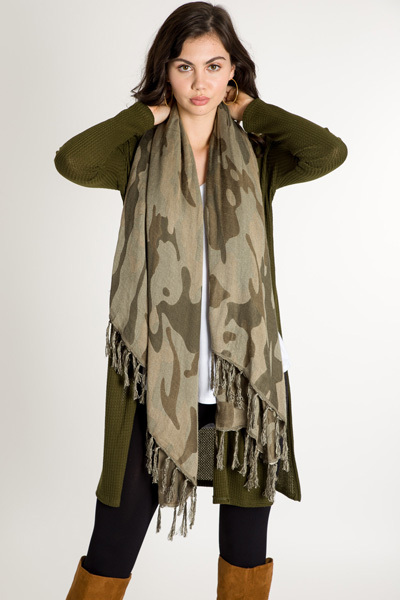 We love a good duster, and this one is no exception! 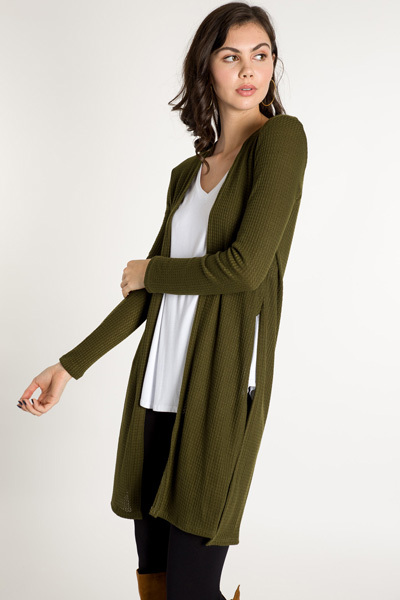 The poly blend knit is comfortable and extra stretchy, so you'll basically feel like you're wrapped in a blanket while looking super cute. 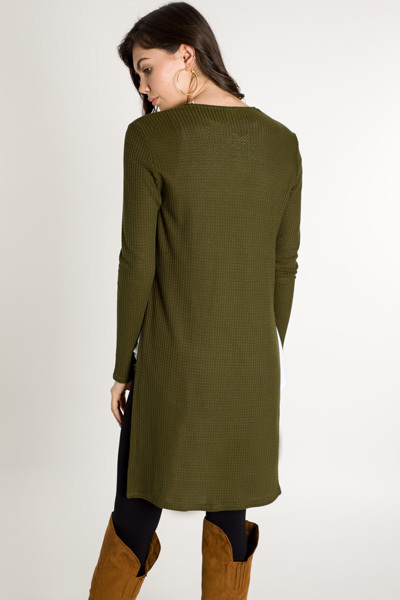 The olive hue makes fall styling easy, and the side slits make for a flattering fit. Open front closure.